If you’re worried about the best sources of fat, consider the results from a recent clinical trial. The study investigated the effect of consumption of fatty acids and selected nutrients, along with regular physical activity, on cardiovascular risk factors in rats. The rats were divided into seven groups: Group 1: regular food and drinking water; Group 2: same as Group 1 plus physical activity; Group 3: same as Group 2 plus calcium, vitamin D, and boron; Group 4: same as Group 3 plus canola oil; Group 5: same as Group 3 plus sunflower oil; Group 6: same as Group 3 plus mix of sunflower oil and canola oil; Group 7: same as Group 3 plus coconut oil. 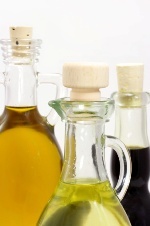 The researchers say their findings show that canola oil and sunflower oil, separately, showed beneficial impacts on heart disease risk factors; whereas the combination of the two oils had negative impacts on lipid profile. Coconut oil seemed to provide health benefits in terms of cardiovascular protection.